Iran’s Supreme Leader says some Arab countries “have become servants of America and the Zionists”. Iran’s Supreme Leader, Ayatollah Ali Khamenei, said on Monday that normalizing relations with Israel goes against the Quran and Islamic faith. 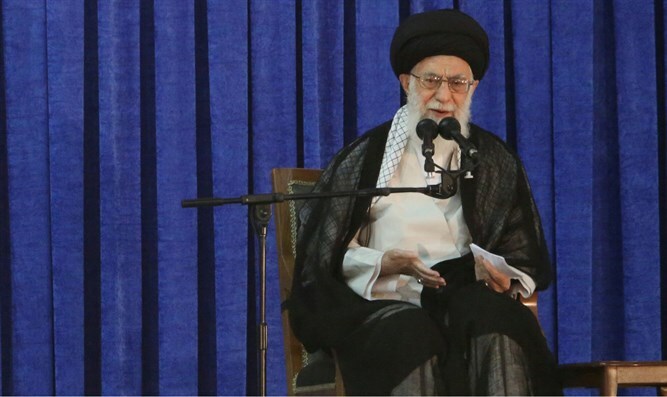 Speaking at the closing ceremony of a Quran competition in Tehran, Khamenei criticized “certain Islamic nations” that are not adhering to Muslim principles, he claimed. “Unfortunately, the rulers of some Islamic countries do not adhere to Quranic teachings and instead of being ‘harsh against the unbelievers,’ they have become servants and followers of America and the Zionists; and instead of being ‘merciful to one another,’ they pave the way for divisions and wars, like the wars in Yemen and Syria, and the massacre of Muslims,” Khamenei said, according to local media. “Although today the hostilities look more than they were in terms of both volume and intensity, these actions and conspiracies are the last throes of our enemies’ enmity with the Islamic Republic,” said Khamenei. His comments come amid rumors of continued cooperation between Israel and Arab countries, including Iran’s regional enemy, Saudi Arabia, although Saudi officials have repeatedly denied any ties with Israel. Khamenei regularly verbally attacks Israel. He has several times in the past referred to the Jewish state as a “cancer” and threatened to “annihilate” the cities of Tel Aviv and Haifa. Several days later he took to Twitter again to blast both Israel and the US. “Today, to hell with the US and Zionist regime for threatening the Iranian nation. Their threats and atrocities have so far failed and will continue to fail; the sanctions will also be defeated by the grace of resistance,” he wrote. More recently, in January, Khamenei met with the leader of the Islamic Jihad terrorist organization and predicted that Palestinian Arabs will eventually “establish a government in Tel Aviv”.